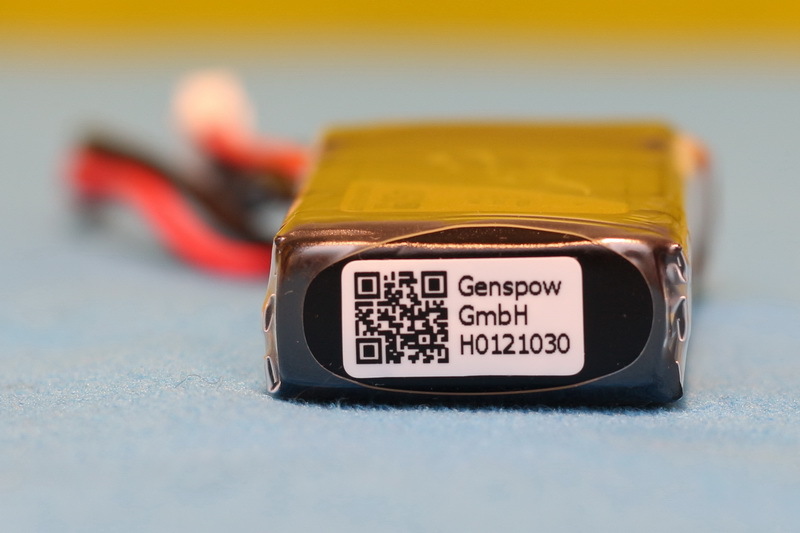 Last week I received from Gens Ace two Li-Po batteries for review. 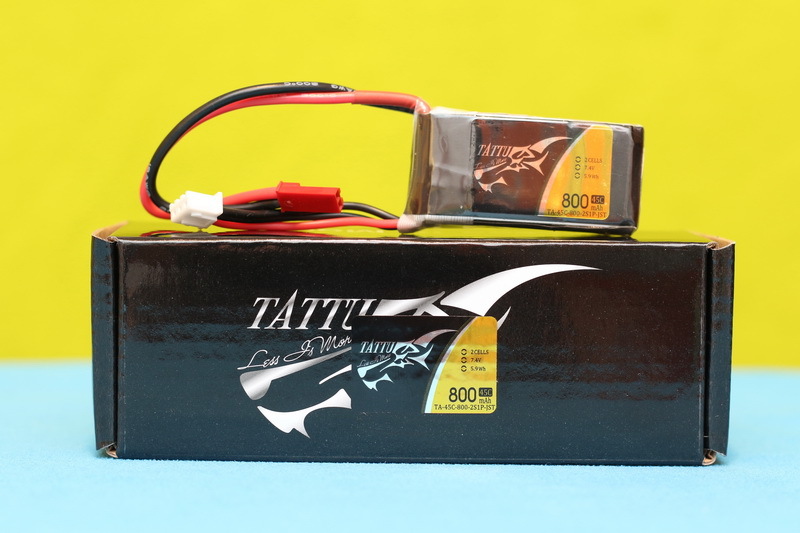 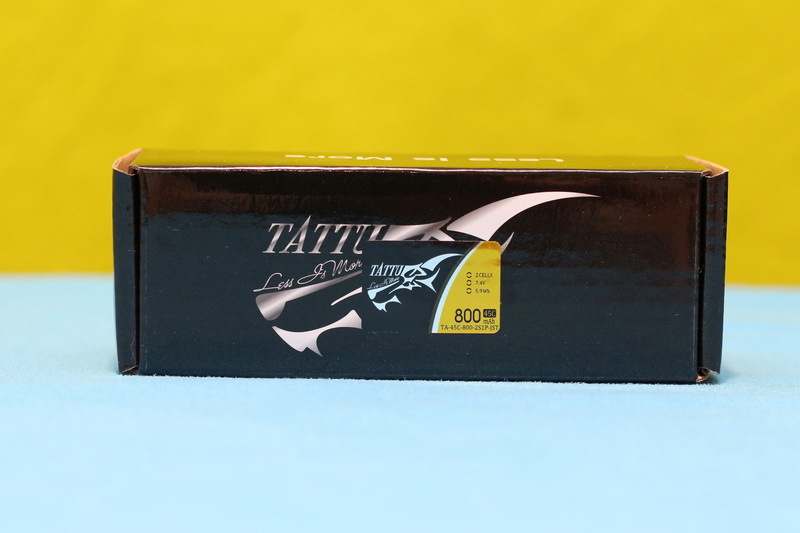 The Tattu 2s 800 mAh and Tattu 3s 450 mAh. 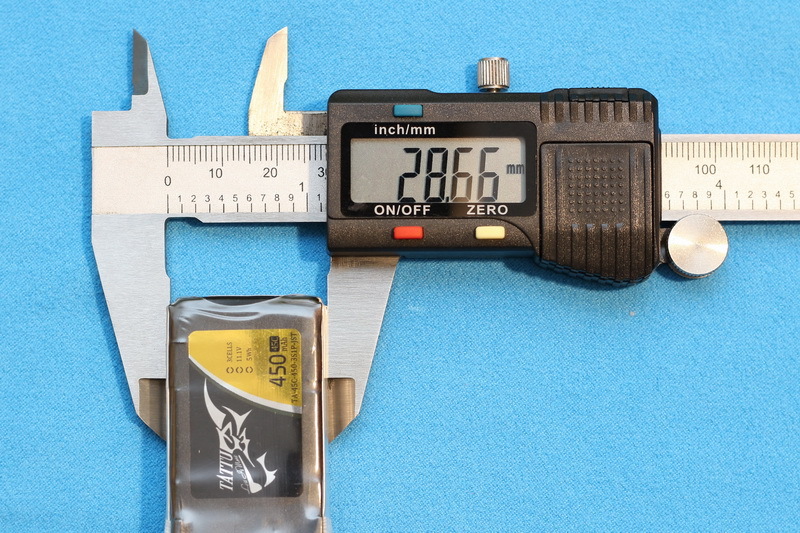 Firstly, I thought about making an individually test of each battery, but latter I found it more helpful to make a side by side comparison of them. 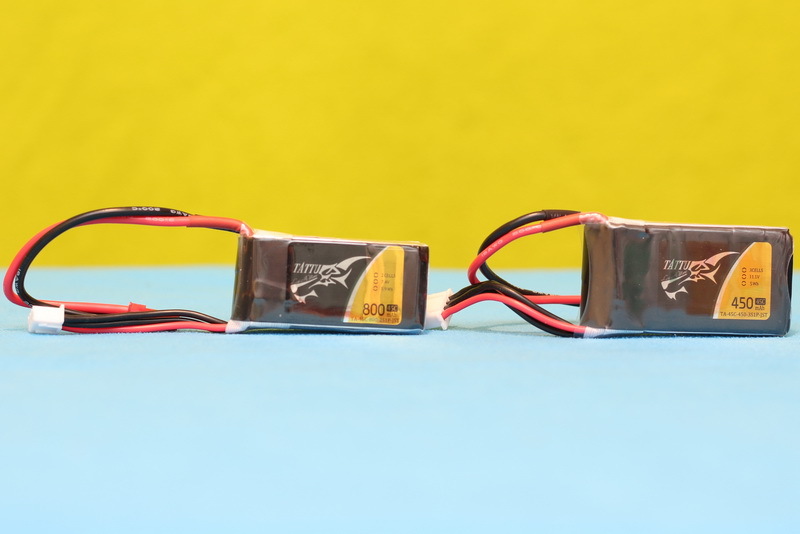 Both Li-Po batteries are suitable for micro class FPV drones like the Blade Torrent 110 and KingKong ET series. 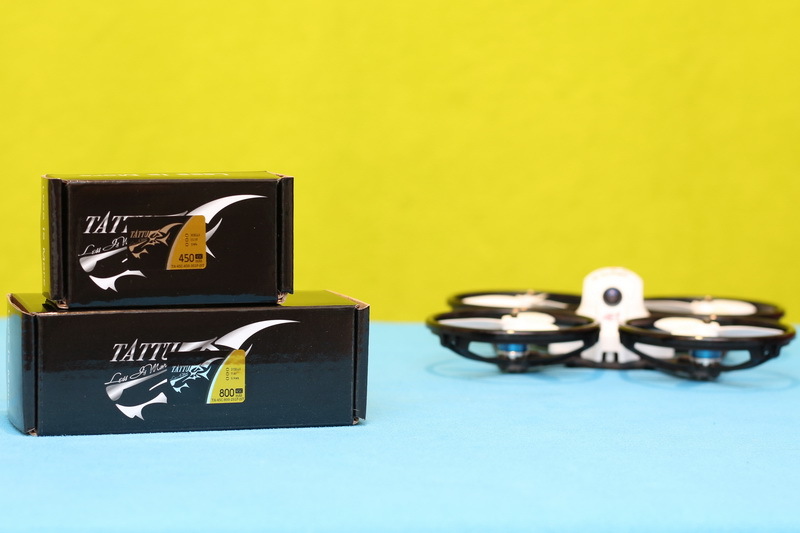 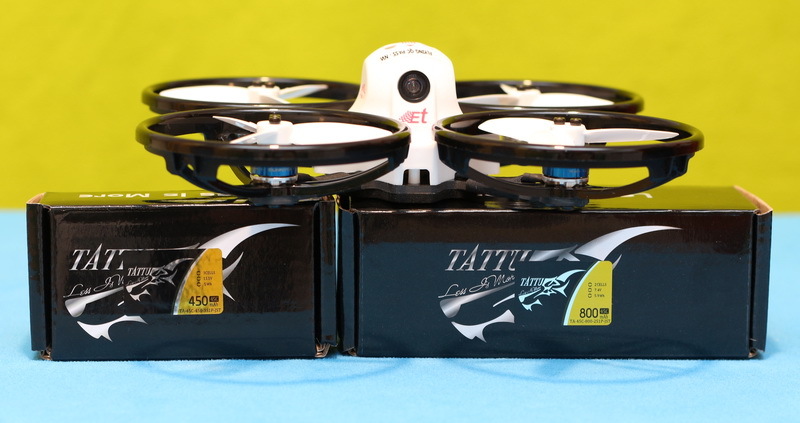 Weighing about the same (~42 grams), I’m curious to find out which one will perform better (top speed vs flight time). 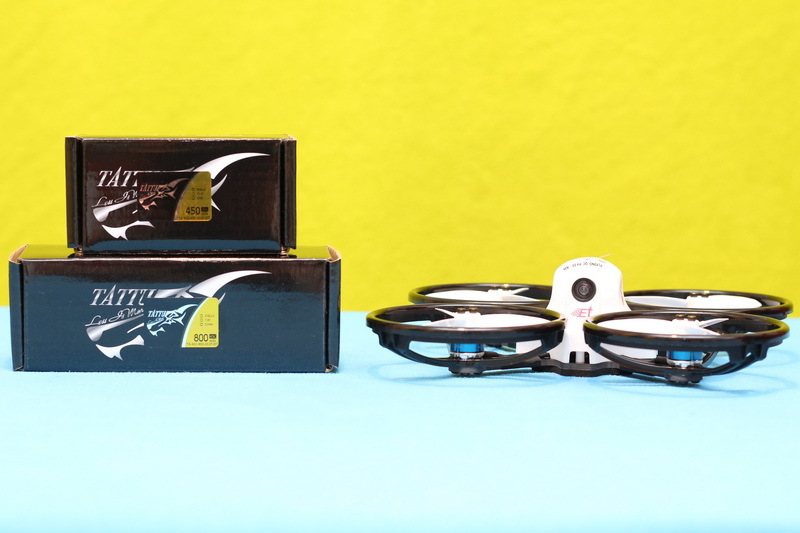 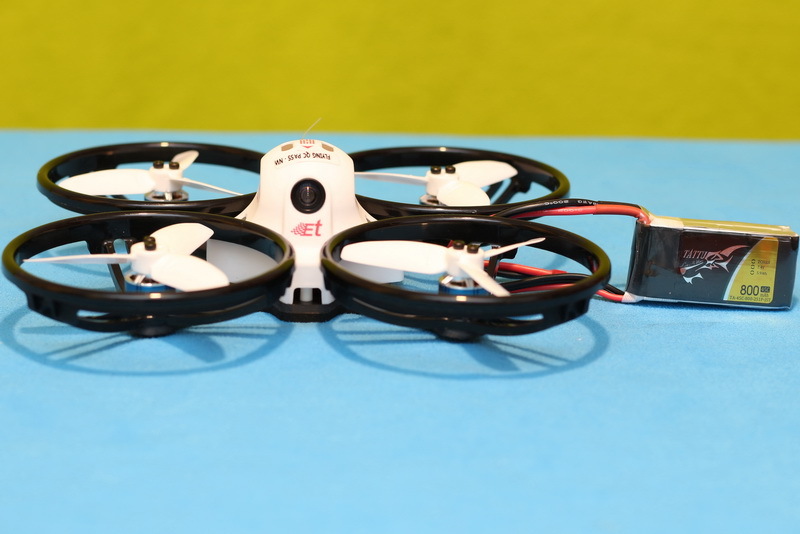 For my tests I will use the KingKong ET125 drone, which weights about 120 grams and it is equipped with 4-in-1, 10 Amps ESC (2-3s rated) and 7500 KV brush-less motors. 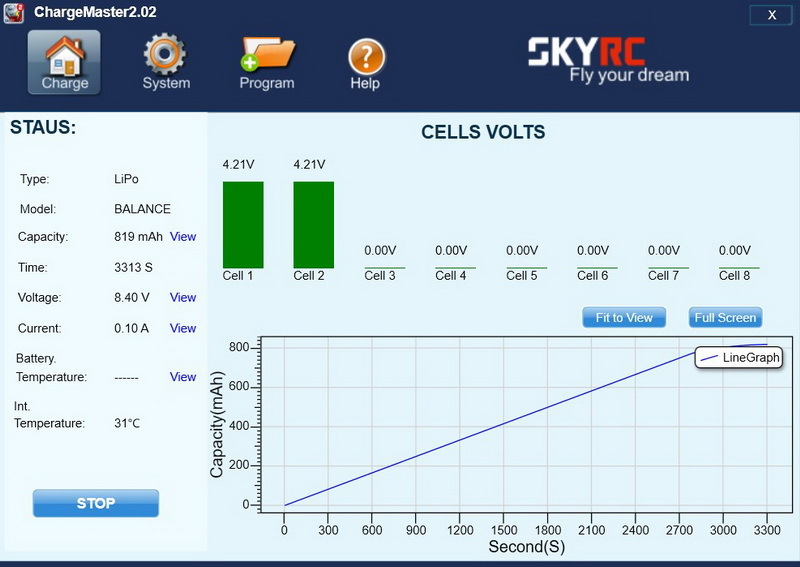 Roughly, the number before “KV” represents RPM/Volt (under no load! 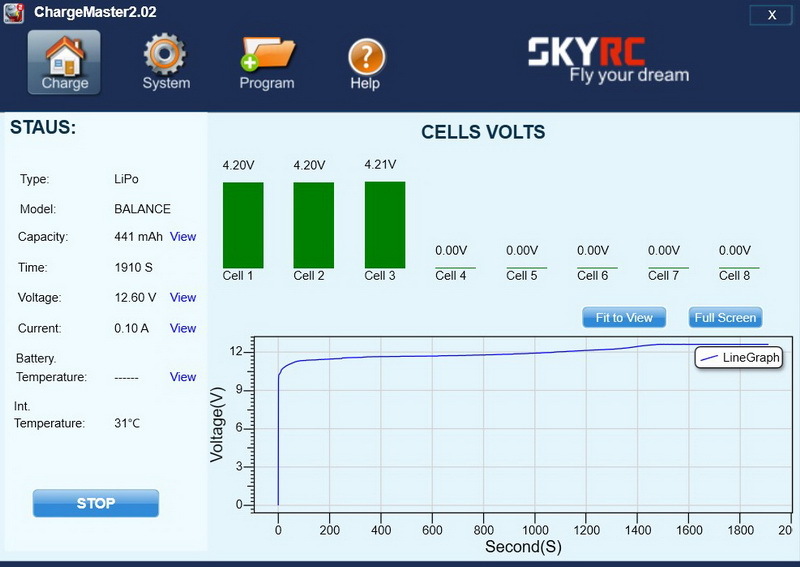 ), so higher battery voltage means more RPM, respectively higher speed. 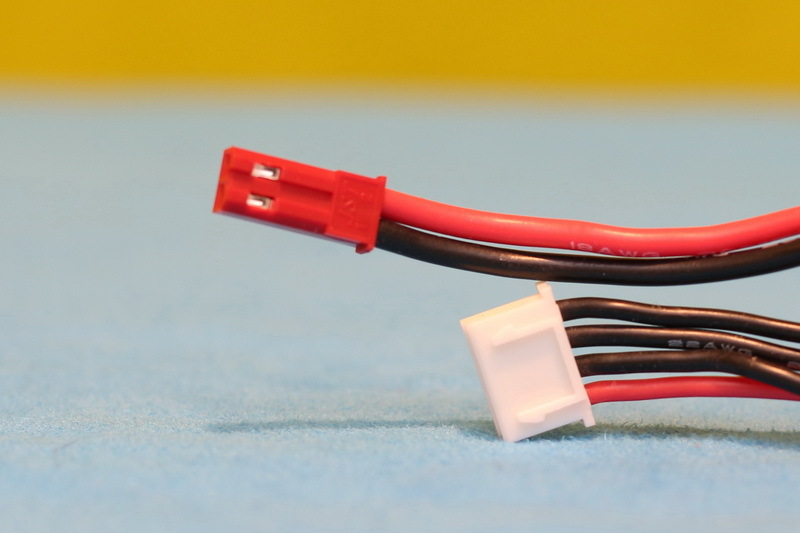 In order to obtain higher voltage, Li-Po packs are made from several 3.7 Volt cells, serially connected. 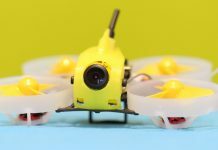 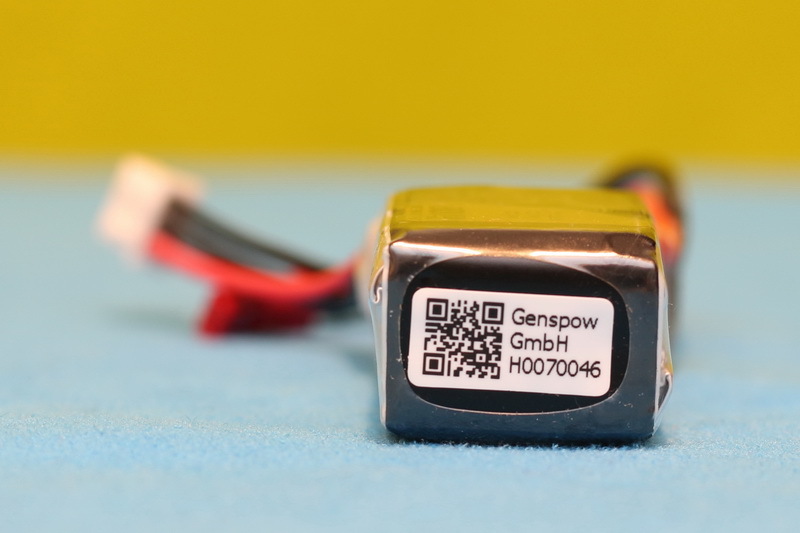 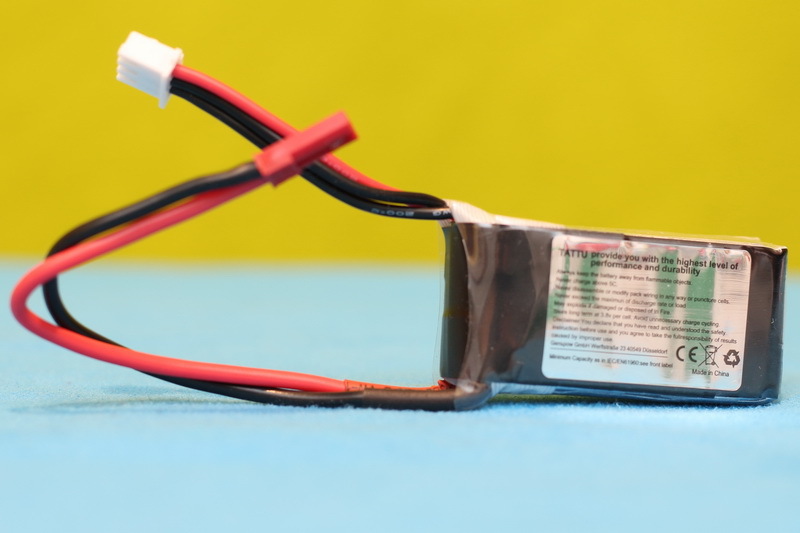 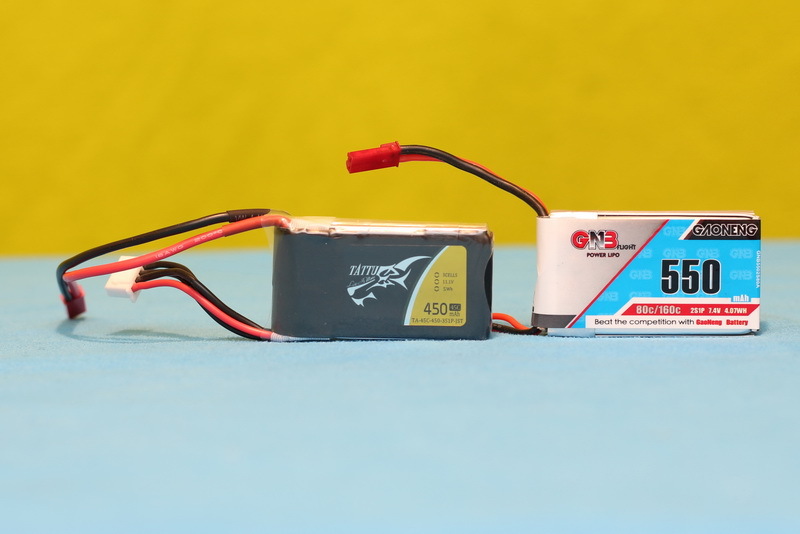 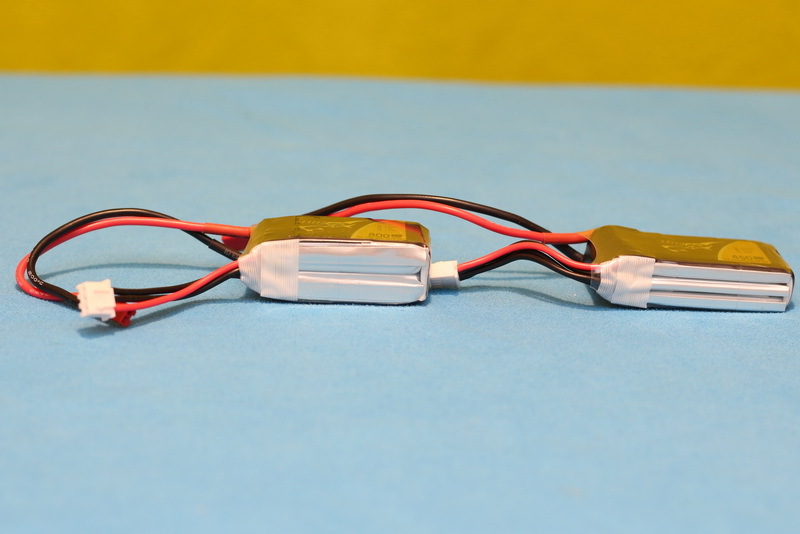 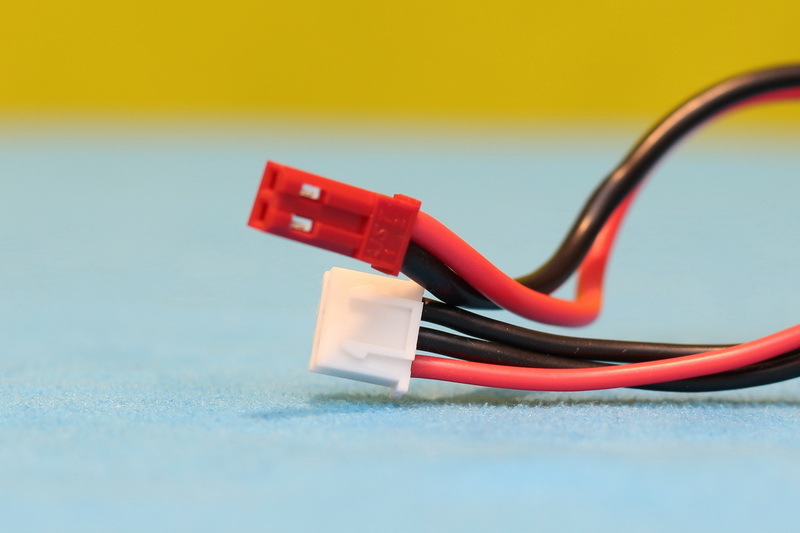 Therefore, a 2s LiPo (2 cell) has nominal voltage of 7.4 V and a 3s (3 cell) one has nominal voltage of 11.1 V.
Which battery is best for micro racing drones, 2s or 3s one? 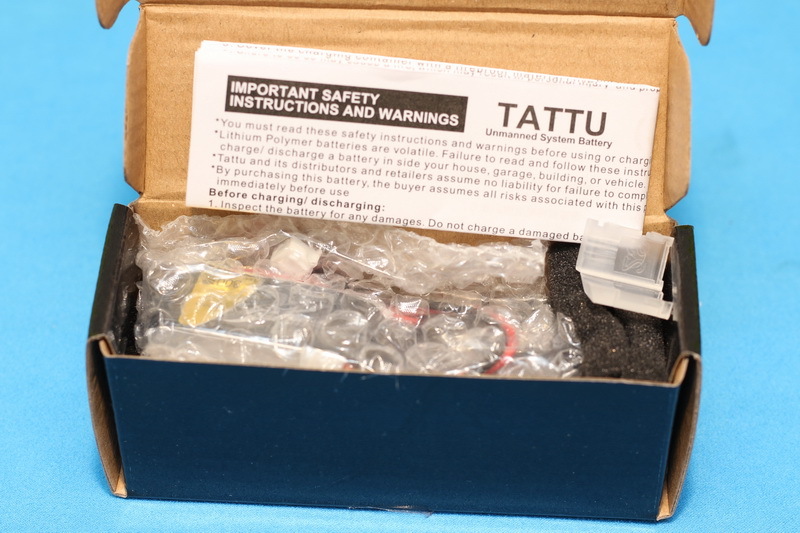 Disclosure: I received these two LIPOs as part of a product review collaboration with Gens Tattu. 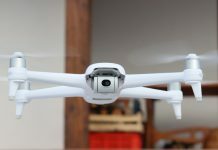 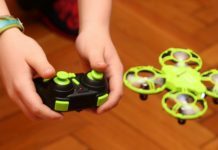 Although the batteries were offered for free, all opinions in this article remain my own and I was in no way influenced by the partner. 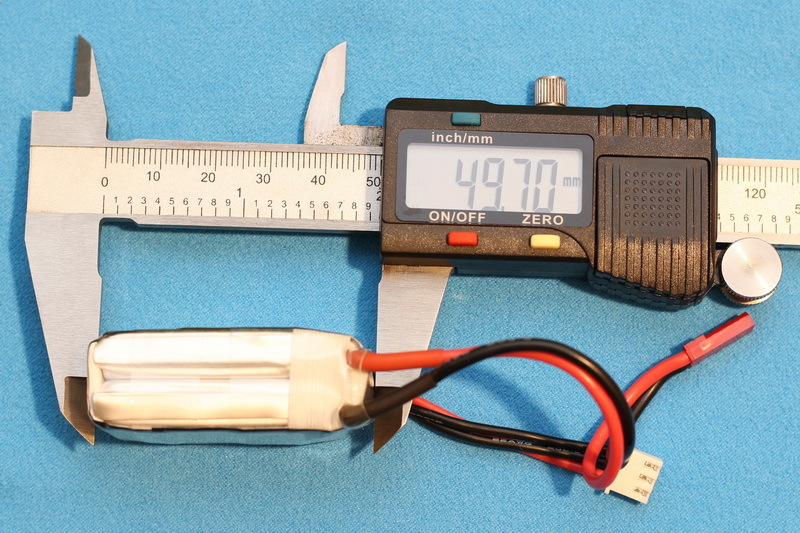 Both batteries came well packaged and, as I requested, with JST discharge plug. 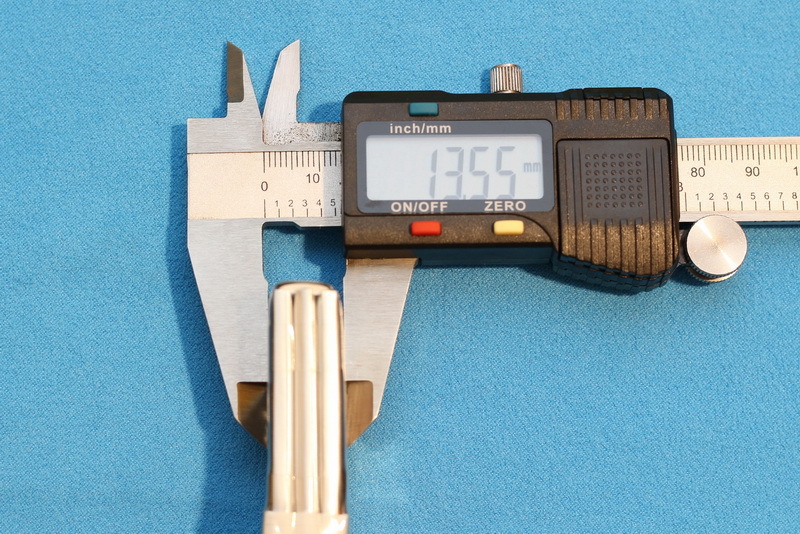 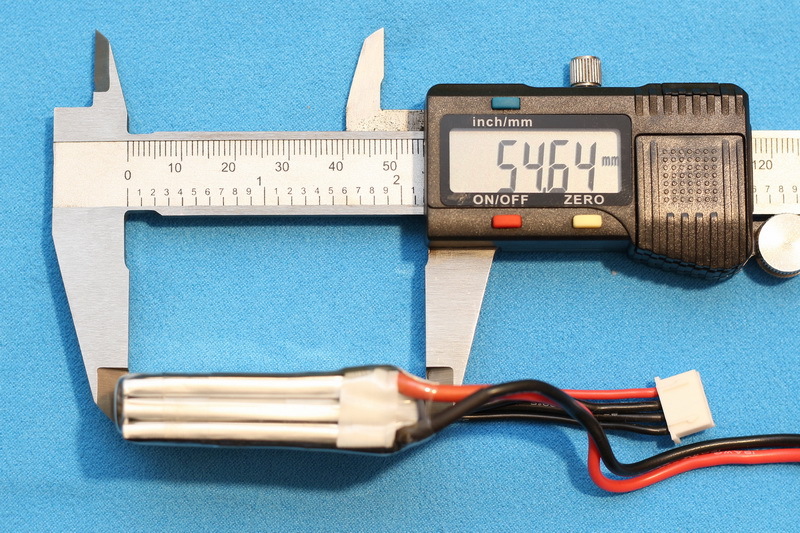 While both LIPOs weights about 42 grams, they have a bit different form factor. 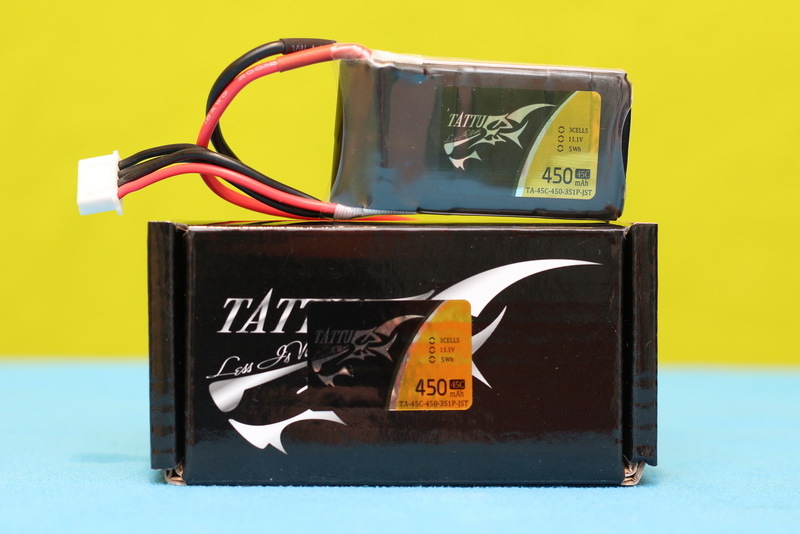 As usual for Tattu batteries, they came half charged, about 3.82 V/cell. 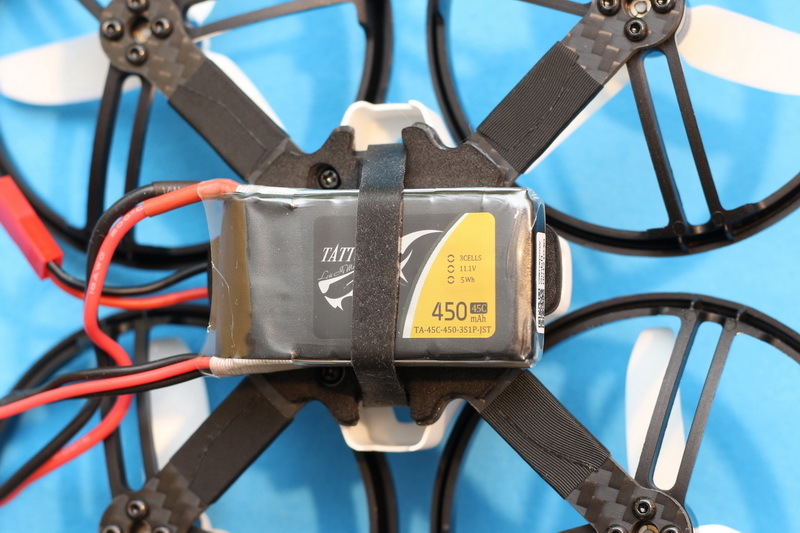 As the stock battery of the KingKong ET125 has only 550mAh, I’m expecting at least 1 minute bonus of flight time for the extra 250mAh. 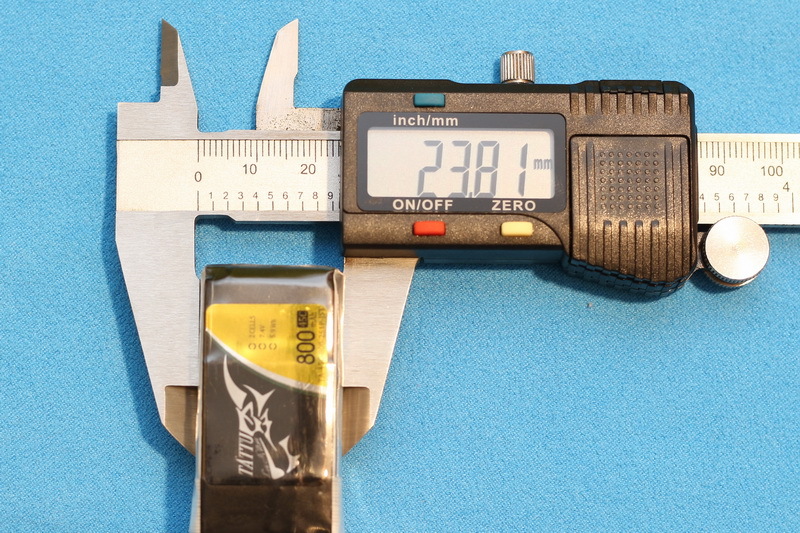 Weight difference between 550mAh and 800mAh is about 7 grams only. 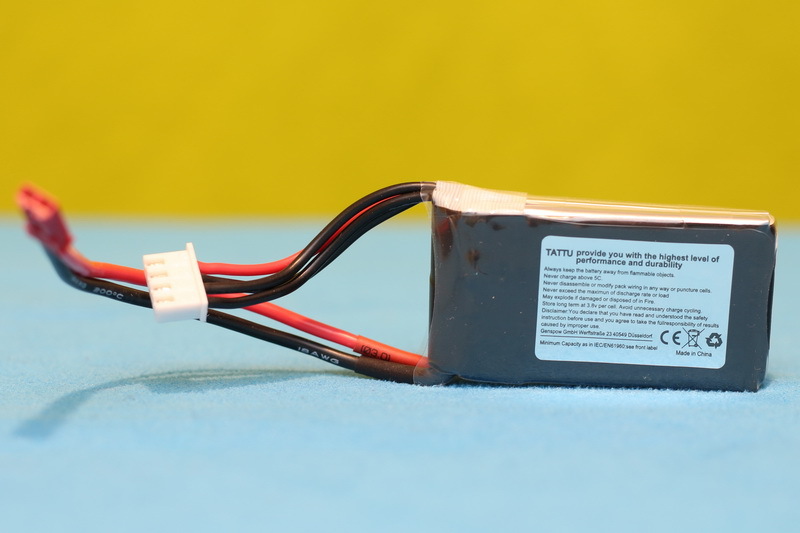 First off all, powering your drone with higher voltage batteries (like 3s instead of 2s) can produce permanent failure of electric parts. 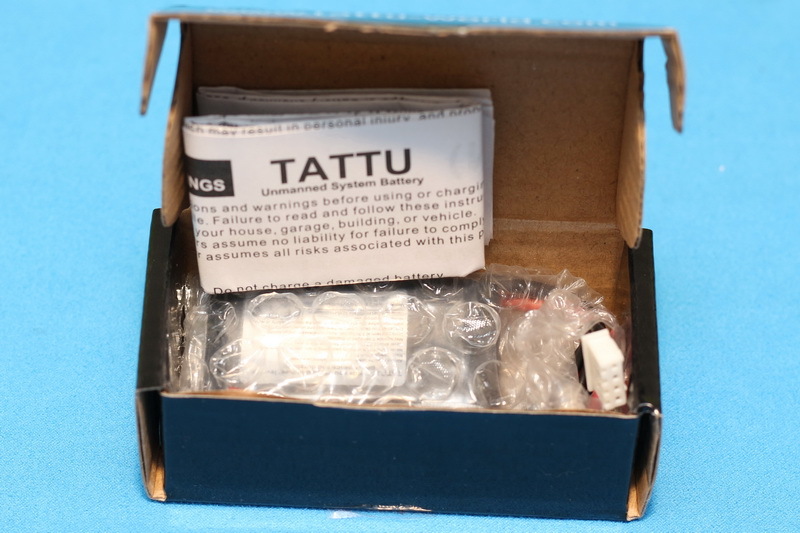 My suggestion is to check the “s” ratting of each individual component. 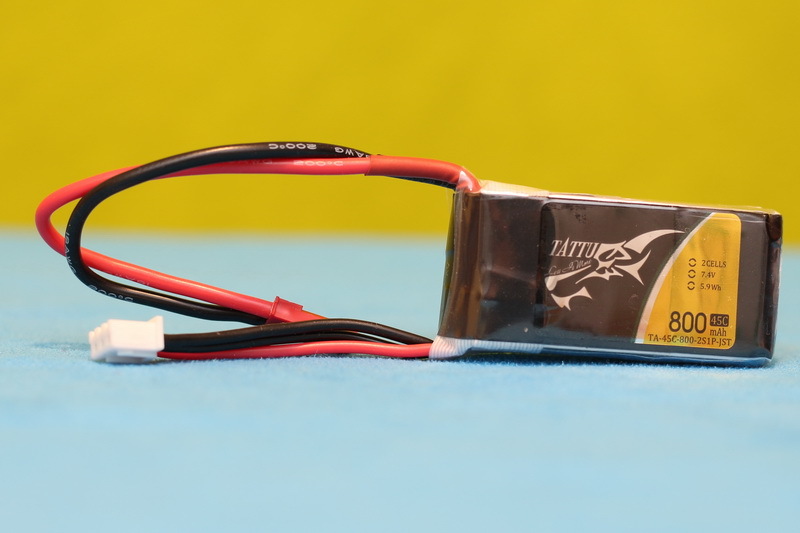 For example, the motors and ESCs could be rated for 3s, but the VTX only for 2s. After five charging/discharging cycles, I fully charged the batteries at 1 Amp. 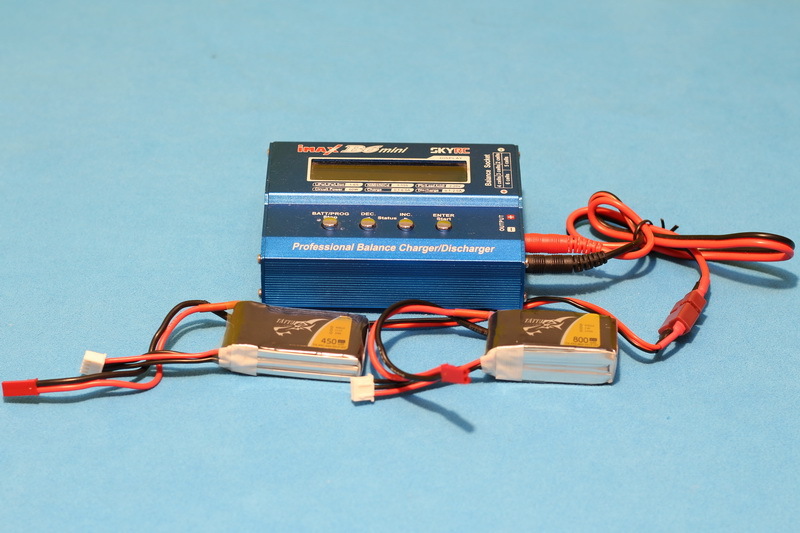 As you can see in the comparison table bellow, both LIPOs ended well balanced. 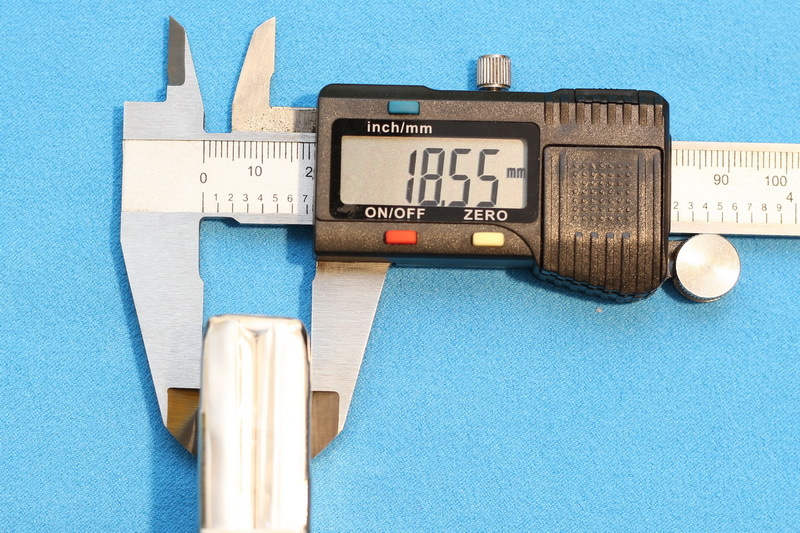 Next day, with confidence I went out to do some real world test. 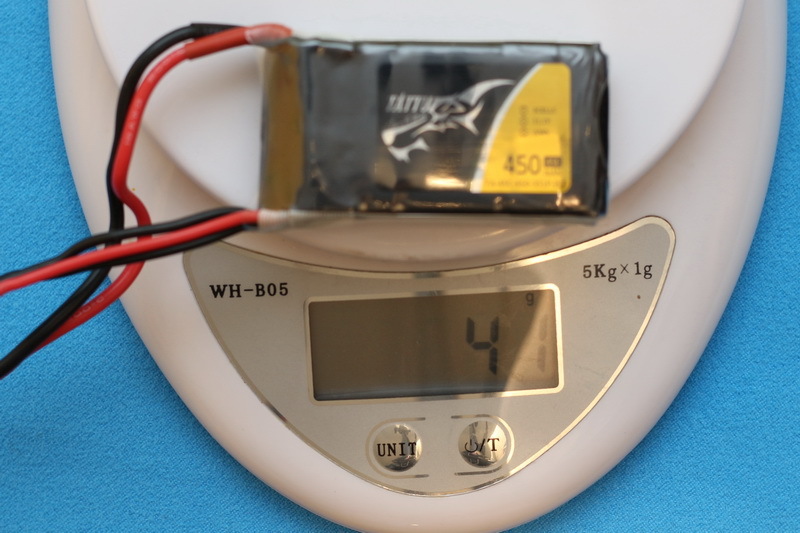 Firstly, I loaded the 2s LiPo into the KingKong ET125. 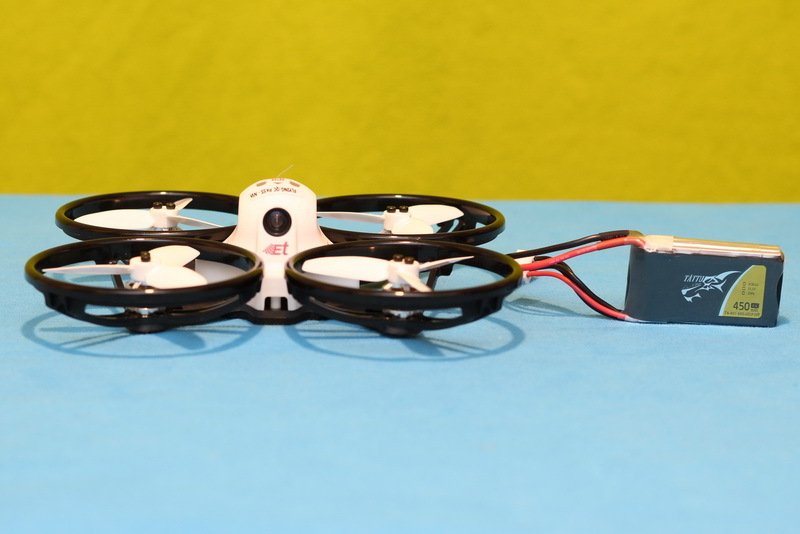 As you can see in the video bellow, due the strong wind gusts, my flight was pretty erratic, so the results are not too relevant. 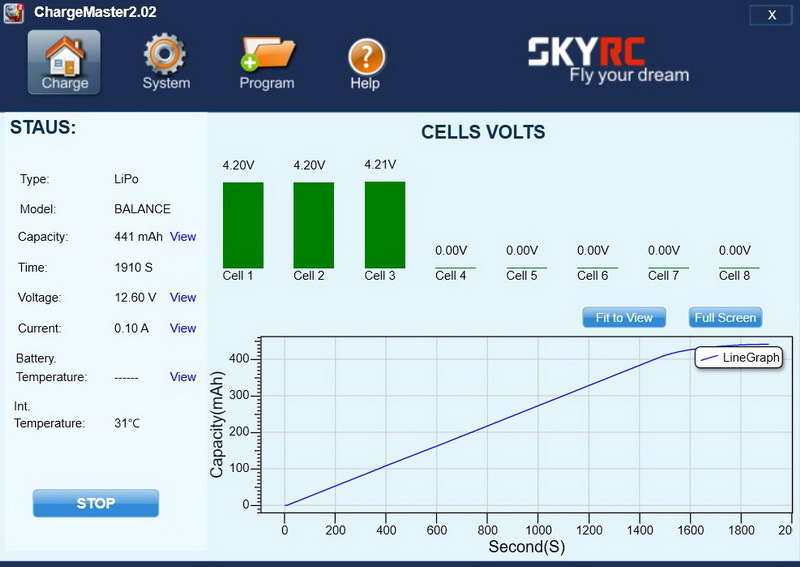 I need to repeat it in more calm day. 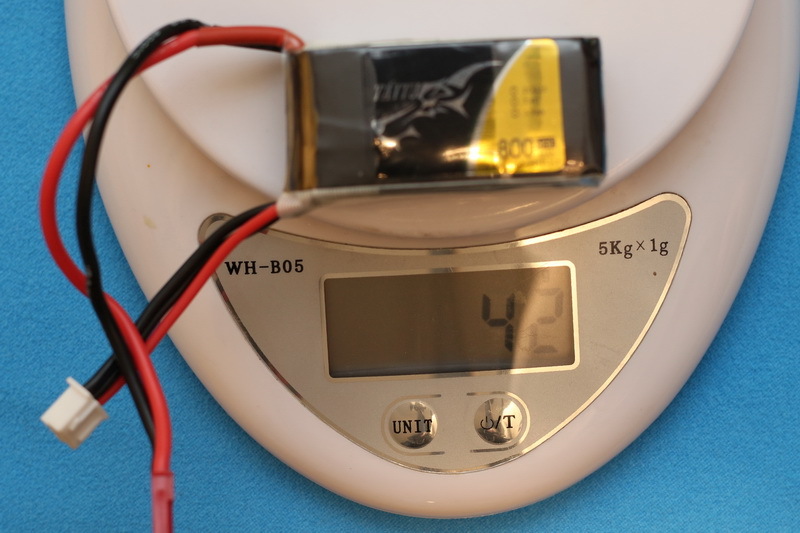 Although, KingKong clearly says that is risky to use 3S LiPo batteries with the ET125, it worked very well. I noticed some improvements, but you need to be a damn good pilot to take advantage of the extra speed provided by the Tattu 3S 450 mAh. 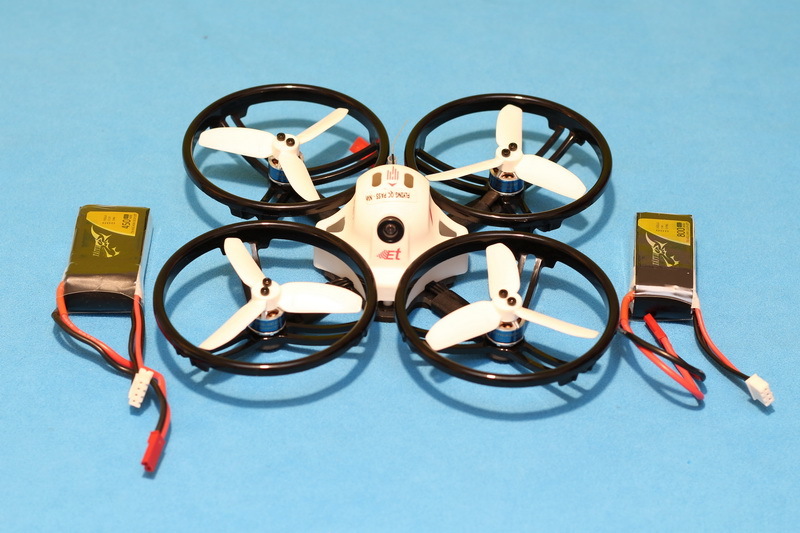 IMHO, 7500 KV motors are just fine with 2s batteries, especially with a light weight frame. 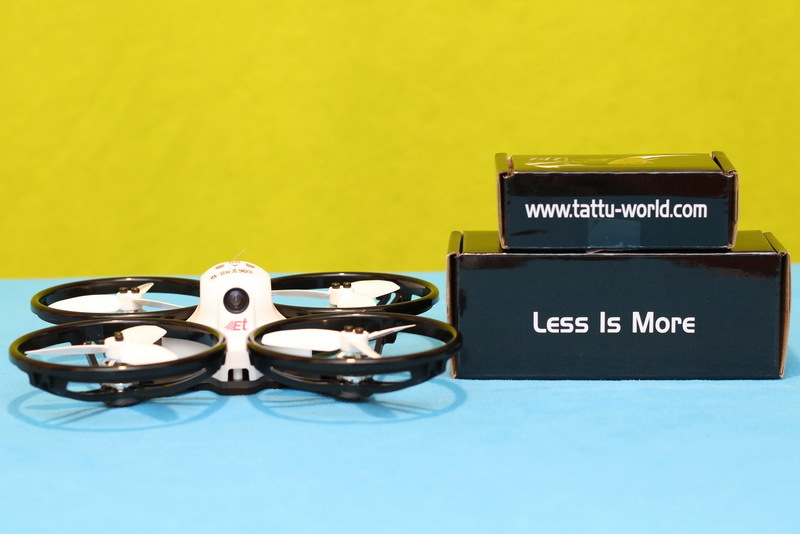 Tattu’s “Less is more” aka “Less weight, more flight time” slogan, proved to be pretty fair. 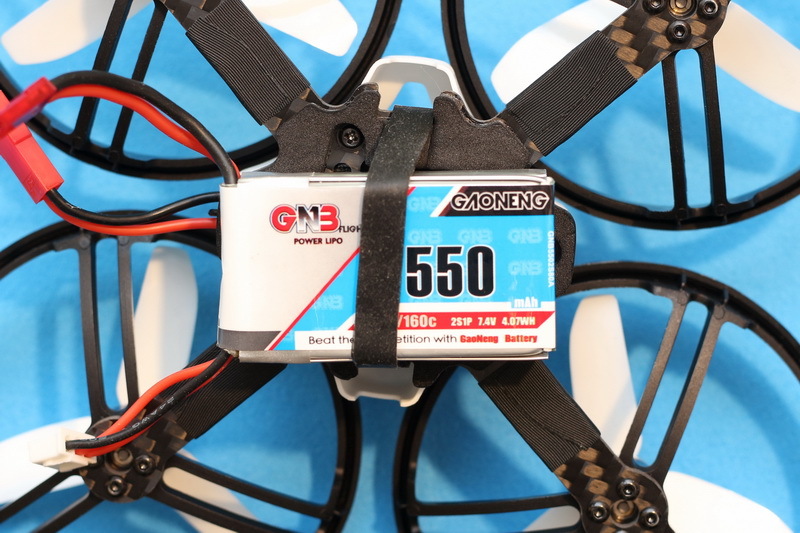 While their 2s 800mAh LiPo has ~19.05 mAh/gram storing capacity, the 550 mAh Gaoneng LiPo has only ~15.71 mAh/gram. 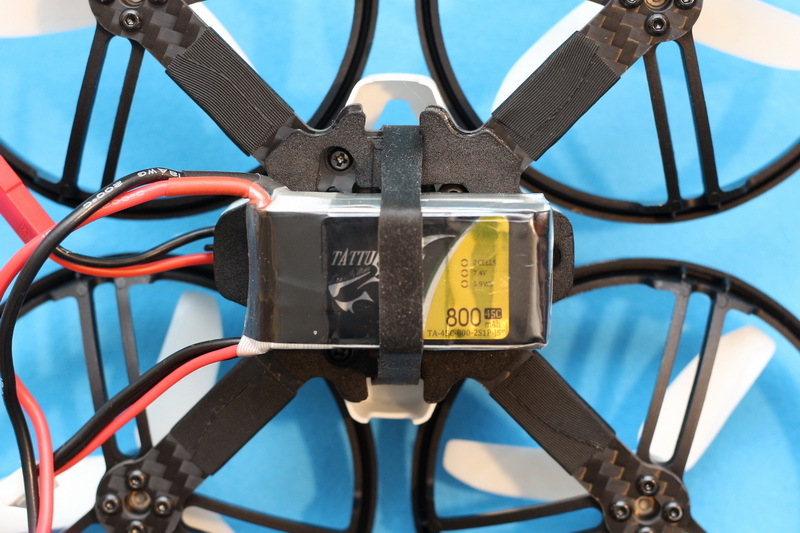 Compared to stock battery I got more than 1 minute extra flight time. 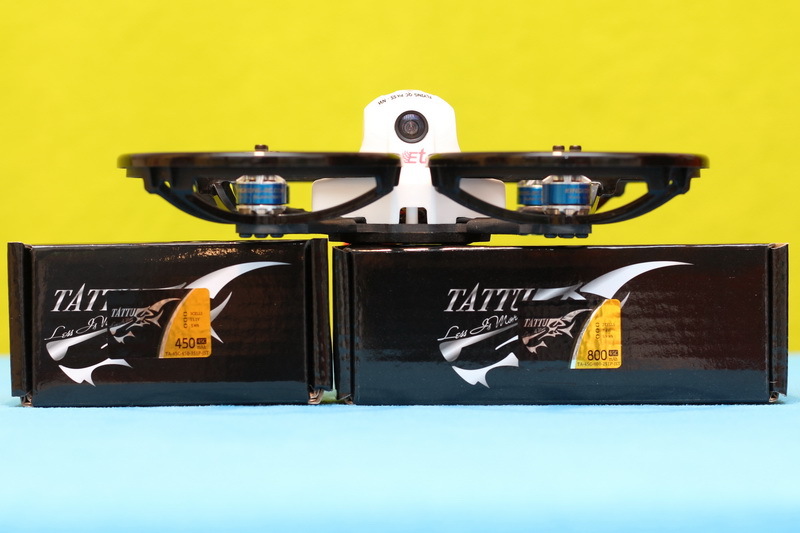 Whether you are looking for extra power for outdoor racing and freestyle or extended flight time for indoor practice Gens Ace Tattu has the proper battery for your micro FPV drone (Blade Torrent 110 / KingKong ET125). 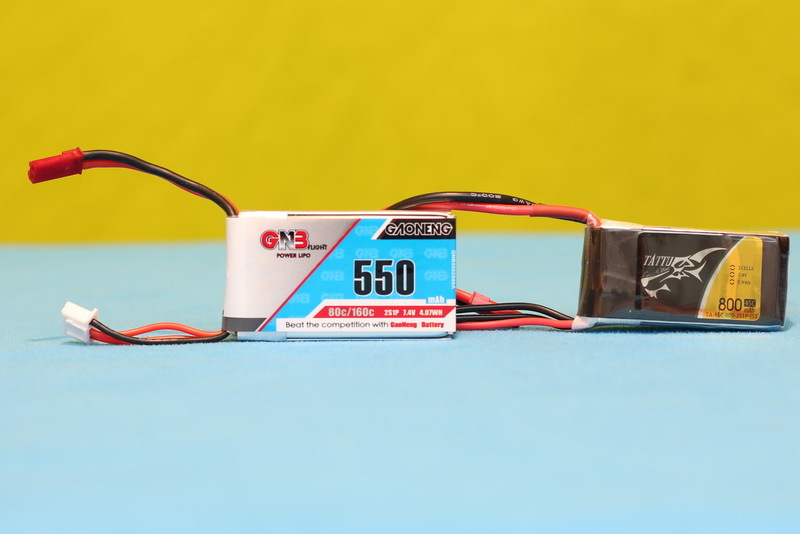 You can find the 2s 800 mAh for $9.99 and the 3s 450 mAh for $9.89. 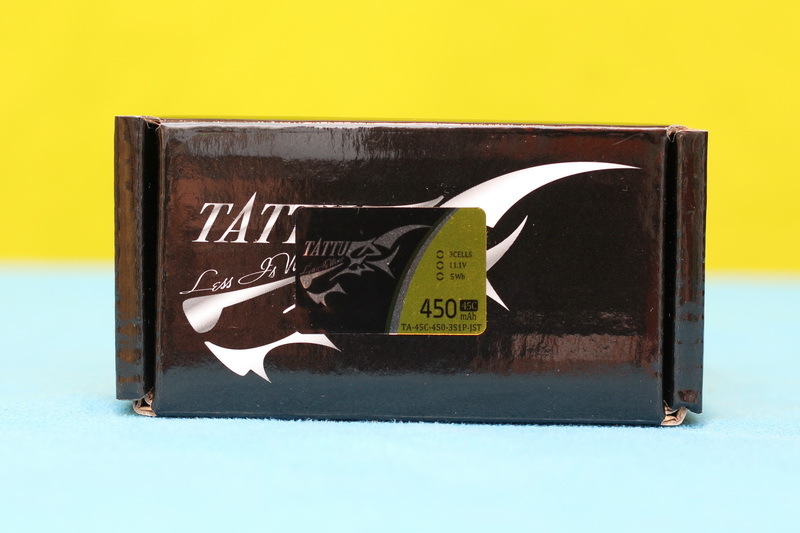 Free shipping to US is available for orders over $49. 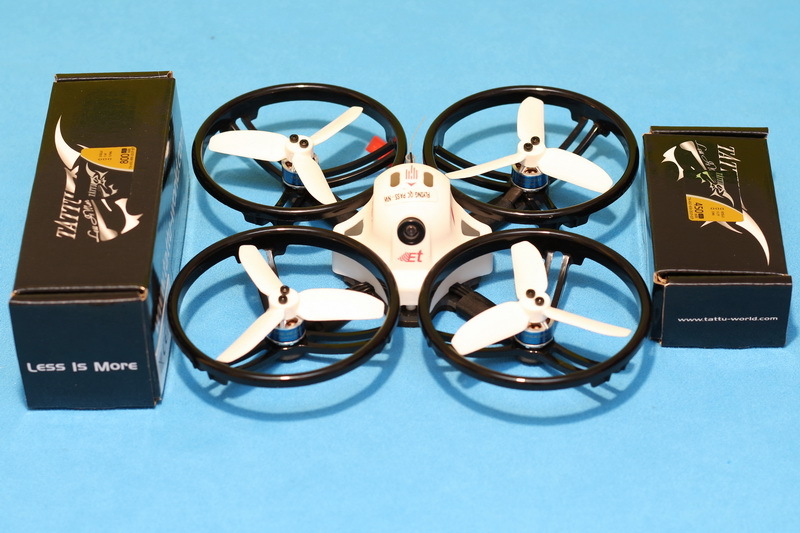 I’m flying a ET100 drone. 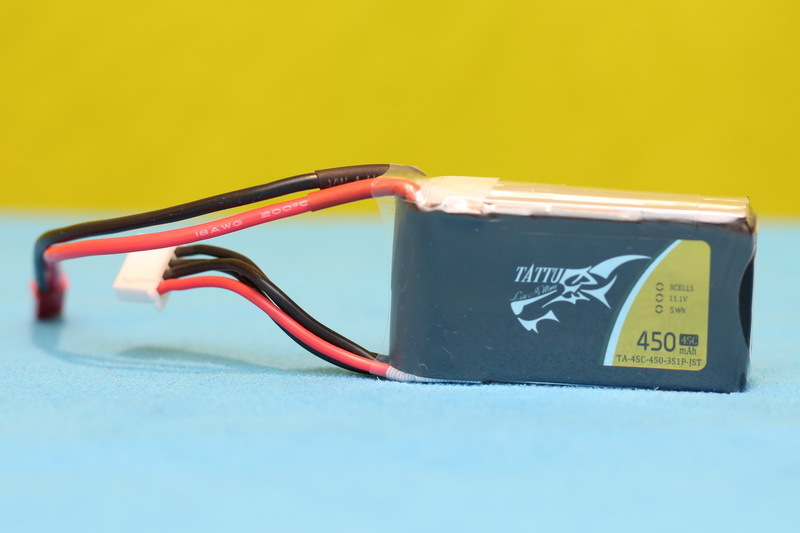 What LIPO battery would you recommend?